Xbox's Chief Marketing Officer Mike Nichols felt that Microsoft is in a better position than Google in the race for cloud gaming given the vast library of games and other content that Xbox provides, echoing the sentiments of Xbox Chief Phil Spencer. Microsoft is also optimistic about a great show for Project xCloud at E3 2019. Cloud gaming services are all the rage these days. While NVIDIA GeForce Now and HP Omen Game Stream made headlines last year, this year we're seeing Apple Arcade, Google Stadia, and Microsoft Project xCloud battle it out for a share of the game streaming pie. Microsoft has dismissed Google's attempt by observing that Google has the required infrastructure but doesn't have enough content. Emerging competitors like Google have a cloud infrastructure, a community with YouTube, but they don’t have the content... You won’t necessarily need a device over time, but you’ll get the best experience with local processing power." This statement is more or less on the lines of what Xbox Chief Phil Spencer opined earlier about Google's game streaming service. Spencer expressed optimism that their demo of Project xCloud at E3 this year will be bigger than Google's. Of course, Microsoft has been in the gaming business for a far longer time and the Xbox One console has a pretty decent selection of first and third-party games. 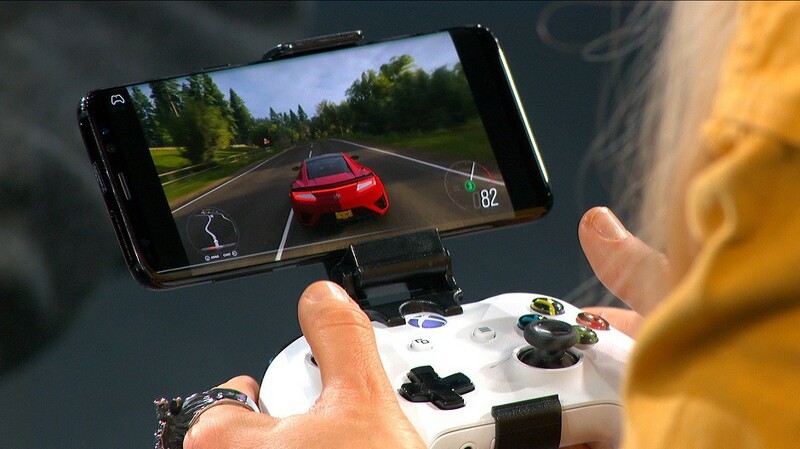 Microsoft also has the advantage of local hardware to accelerate gameplay that Google doesn't have at the moment. While tech giants battle it out in terms of infrastructure and game catalogs, a more worrying concern is about whether the world is ready to embrace a fully cloud-based gaming service or not. Not all regions are gifted with access to unlimited broadband at high speeds. Poor network infrastructure also results in high ping times that can disrupt competitive game play. So while we can all appreciate how cloud gaming can enable seamless cross-device gameplay, physical hardware would still continue to be relevant for the foreseeable future.